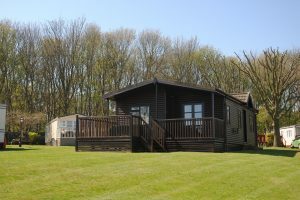 A seasonal terraced area offering log cabins and caravan holiday homes. As its name suggests, Lookout is on high terraced ground with many plots enjoying fabulous views across the river. 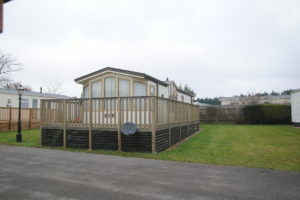 Although now completed, from time to time the opportunity arises for us to offer a new caravan holiday home for sale. With this in mind we often have a new showhome to view at the Park with immediate occupation possible. During the course of the year, it would not be unusual to have a selection of previously owned holiday homes available for sale. These are sold as and where seen. 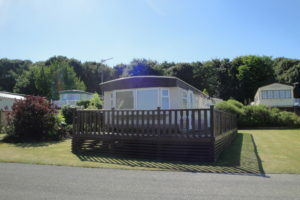 Our previously owned holiday homes are usually in superb condition and offer fantastic value. Prices can start from as little as £5,000, a great way to dip your toe into holiday home life at Priory Park. 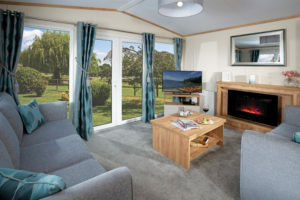 A well maintained holiday caravan should have a life of at least 25 years and unlike many parks we do not specify a short fixed lifespan thus giving you many more years of enjoyment. With the seasonal nature of Lookout, we can offer flexibility of season length. The seven month season runs from 1st April to 31st October and additional months can be added with the maximum season being ten months 1st March to 5th January following. This way you pay for the time period you are able to use each year, you can even change your mind during the year and extend for a further month or two.